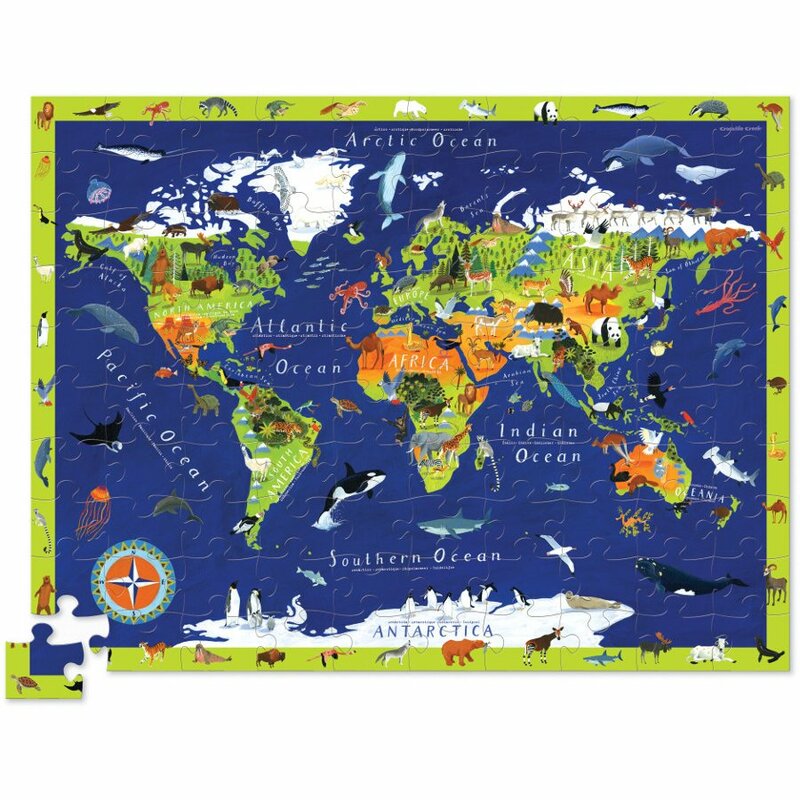 This giant 100 piece floor jigsaw puzzle with 21 put together animal figures is made with recycled cardboard and printed with soy based ink which is kinder for your child and the planet. 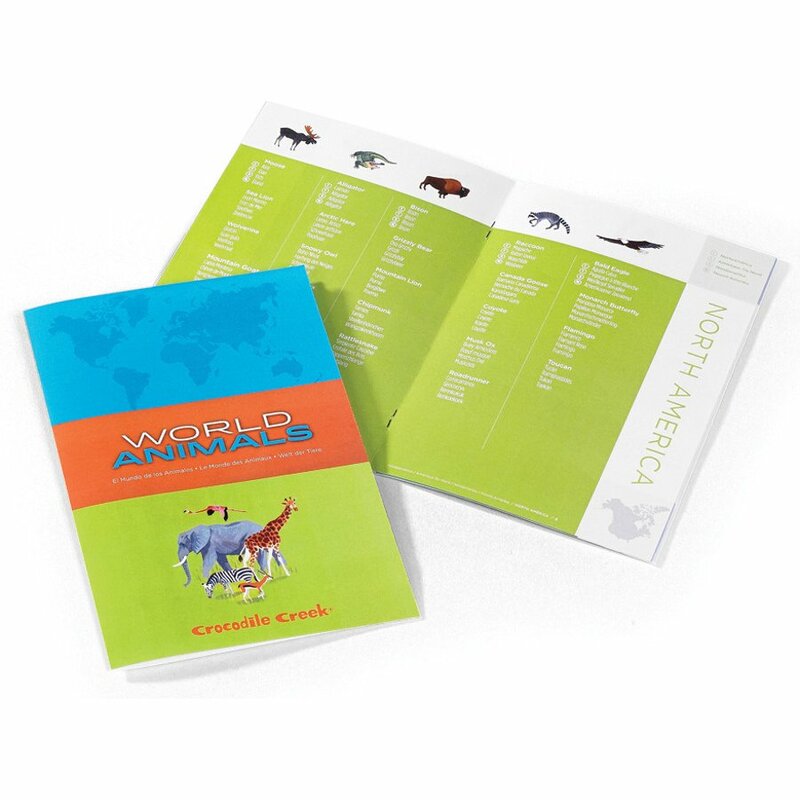 Perfect for little ones to help them learn about the earth, the continent and animals indigenous to each continent and ocean. Use the 21 animals to challenge yourself to match them to the continent where they live! 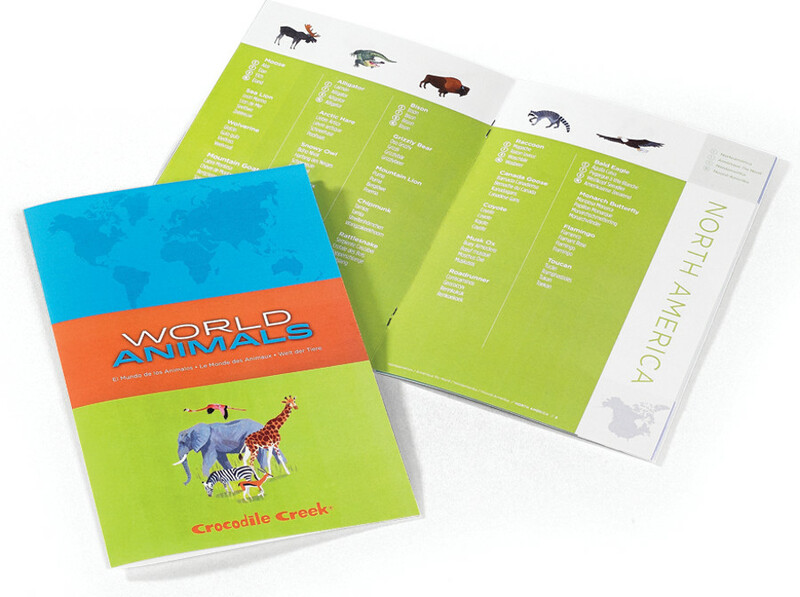 Also included is a guide book that has details about each of the animals featured on the puzzle and in the figures. 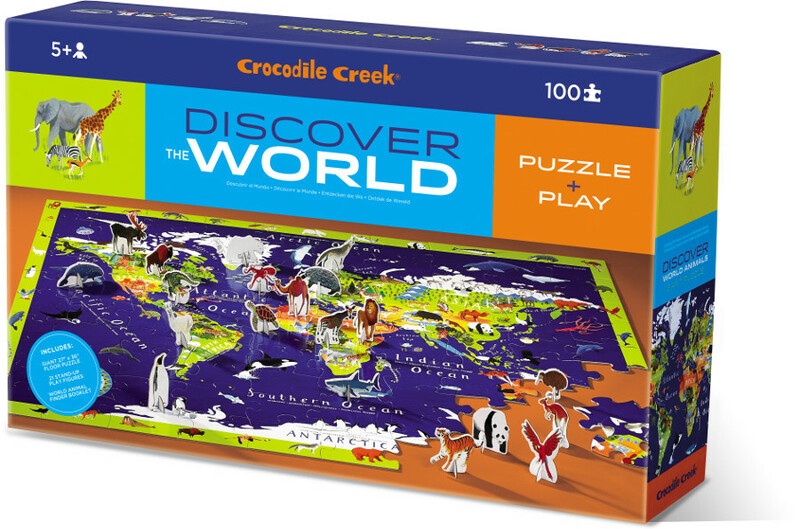 Crocodile Creek is a design and manufacturing company that creates beautiful, colourful and long lasting and high quality products using recycled cardboard which are completely safe for children and the environment. 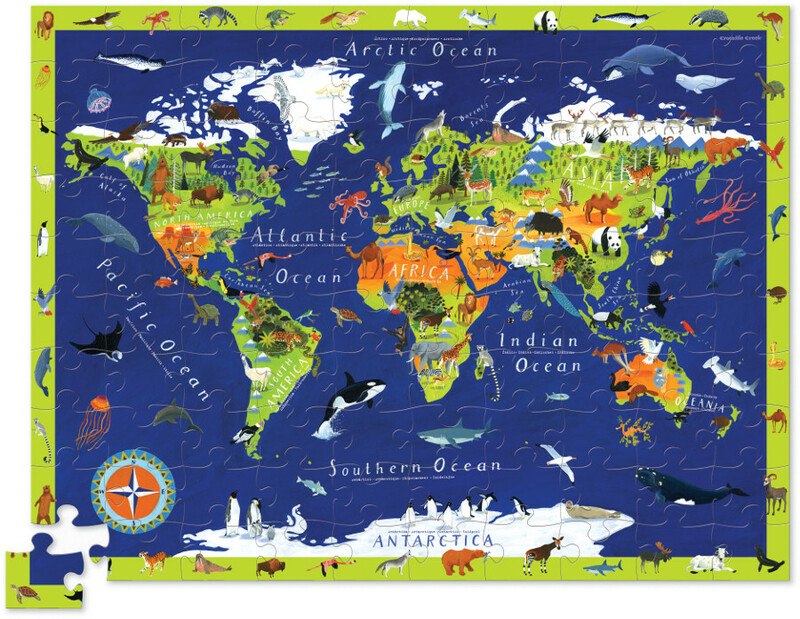 Finished Puzzle Size is 36 inches wide x 27.5 inches high. 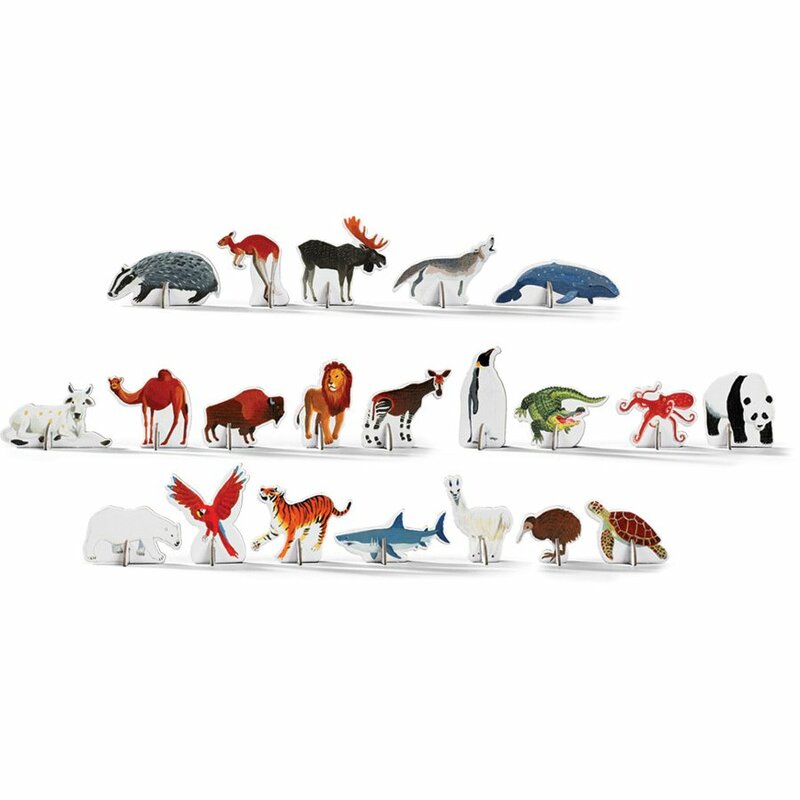 Includes 21 animal figures (each figure is approximately 3 inches high). 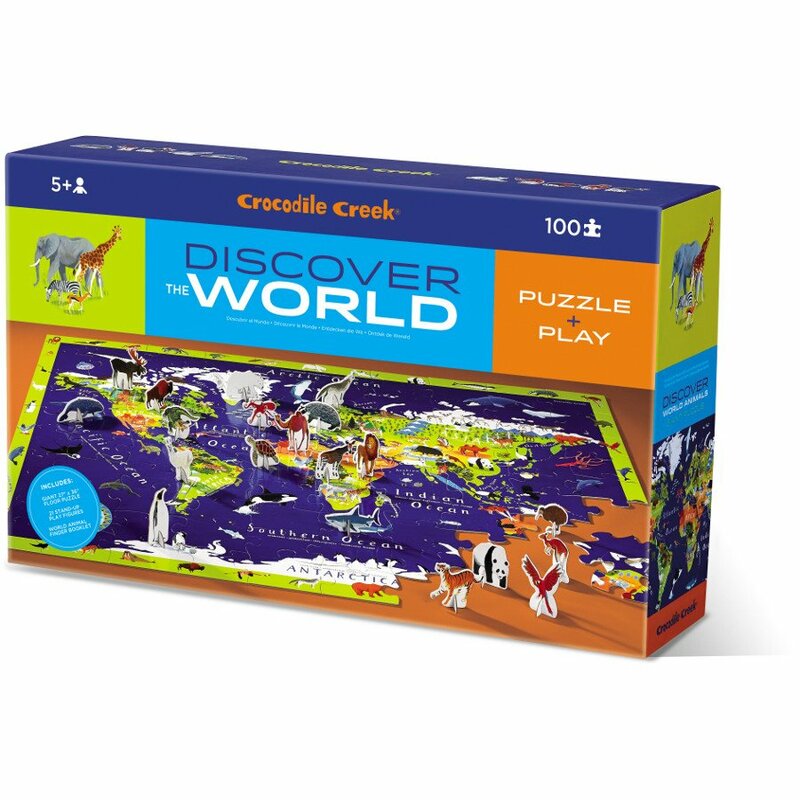 There are currently no questions to display about Crocodile Creek World Animals Discover Jigsaw Puzzle - 100 Piece.